Could Juniper be the key to unlocking not only Mateo’s family’s deepest and darkest secret, but also his stone cold heart? Fans of Twilight and The Mortal Instruments are howling for Mateo Santiago. He rules the most powerful pack in the world. 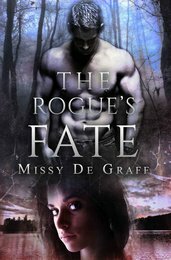 She has been outcast by her family and forced to go rogue. When their paths cross, it could be the beginning of something wonderful - or the end of them both. Juniper Evigan is the daughter of one of the strongest Alphas alive, and that comes with a lot of pressure. When she brought shame to her family 5 years ago she was shunned. 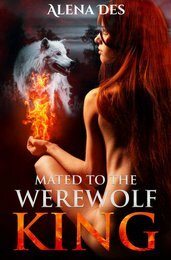 Now, at eighteen, she must decide to stay with her pack and live as an outcast, or be run off the land and never return. Mateo Santiago hates life and everything in it. 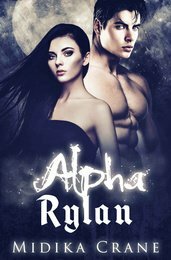 Living with a curse bestowed upon his ancestors has hardened him, and at the age of 23 he is the most feared Alpha in the world. When a rogue is brave enough to cross his lands, he plans to confront her - but is surprised by their intense connection. A connection he never believed possible and was told he could never have. Clara has been chosen and her fate will be fulfilled. Clara Evans’ needs a fresh start. Exhausted from the taunts of her classmates and the neglect of her careless foster parents, she is counting down the days until graduation when she can move away and leave her miserable life behind. 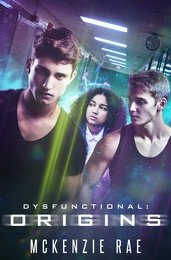 When swoon-worthy Jay Woods transfers to Ford High School, Clara’s eyes are opened to a universe she never knew existed. 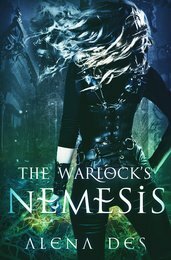 As the life she once knew shatters and ancient secrets are revealed, Clara must learn to control her newfound powers while defeating a raging darkness that will change the world forever. Could “The Freak” from Ford High be the key to saving the human race? 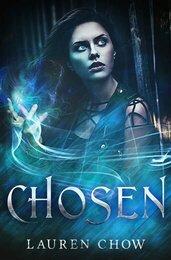 For fans of The Mortal Instruments and The Fallen Series comes an unforgettable new book... At the age of 14 Dawn learns that she is half demon, half angel; her blood runs with the fires of Heaven and Hell. She spends her teenage years conflicted and confused knowing that she’ll eventually have to choose the side that best fits her purpose, but shortly after her 18th birthday, she realizes that choice may not be hers to make. Torn between finding out who she is and falling in love with the wrong guy, Dawn's life gets turned upside-down. With her emotions in complete control of whether her abilities produce good or bad consequences, things could get messy. Will Dawn find the light, or be consumed by the darkness? 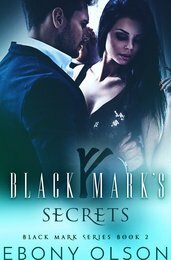 The third and final installment of the steamy and intense Black Mark series, by Ebony Olson! With a broken heart and a raging anger towards Darius, Mora and her unborn child go on tour where she puts all of her pent up emotions into her music, sky rocketing her career. 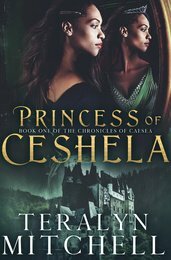 She desperately tries to move on and start her new family without Darius casting his dark shadow on her life. 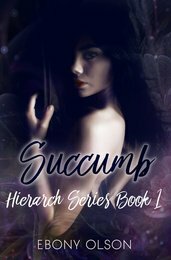 But keeping Mora and Darius apart is like keeping a moth from a flame, and their distance doesn’t last long before the couple is back to their old wicked ways. 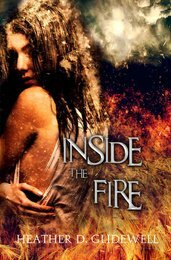 When things take a dangerous turn and one of Darius’ fellow Fehu members becomes obsessed with Mora, she feels trapped. A fresh start could be just what she needs - but does she have the strength to leave behind the man who has always held her heart? “The problem wasn't that my body lusted for him, or that my heart beat faster in his presence. This wasn’t the sort of man you ended up with, and I was not going to break my heart on Darius Rafal.” Mora Ellis has drawn the line. No more crossing the professional boundary with her boss, the glorious and powerful Mr. Rafal. But despite her best efforts, she can’t resist his familiar pull, and this time it’s more than just lust, it’s a need to be wanted. Darius has woken something inside of Mora she thought she’d buried long ago. She wanted him to love her. 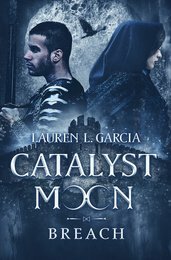 With high walls built around her heart, can Darius convince Mora to risk everything to be with him? Or will the secrets she is keeping from those around her be the undoing of her own happiness?